This Banana Cream Cheesecake recipe is made with a fresh banana cheesecake topped with banana bavarian cream! It’s smooth, creamy & full of the most amazing banana flavor! This cheesecake recipe is my new favorite and might just stay that way forever. 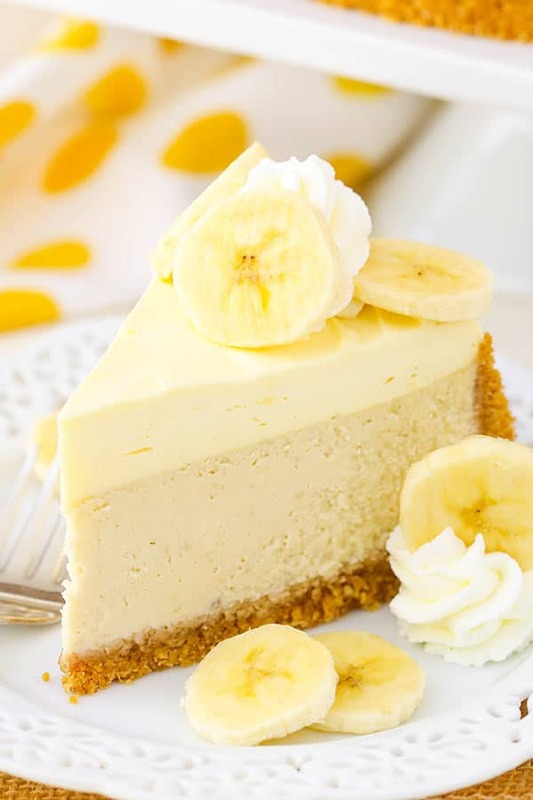 It combines two of my favorite things – banana flavor and cheesecake. It’s no secret that the hubs and I have a love of banana flavored dessert. And ever since I was a kid, I have loved cheesecake. So when I first discovered the banana cream cheesecake at The Cheesecake Factory, I knew I was in heaven. The only regret I have in regards to this cheesecake is that it has taken me so long to create it at home! So let’s not waste any more time. You need to make this ASAP so to get started, we’ve got the crust. I like to use vanilla wafers in a lot of my crusts, rather than graham cracker crumbs, but it’d be an easy swap to use graham crackers too. I personally like that vanilla wafers are a little sweeter and have more flavor. It really compliments this particular cheesecake too. For the cheesecake filling, we’ve got banana flavor from both fresh bananas and banana extract. 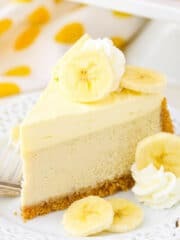 I played around with just fresh bananas and just banana extract, but you really need both to get that smooth banana flavor that I love in the banana cream cheesecake. The fresh bananas give it that real banana flavor and the banana extract enhances the flavor and makes it even better! To bake the cheesecake, you’ll want to use a water bath. I know it’s a few extra step and seems to be a pain, but it’s really not hard and it definitely makes a better cheesecake. Without it, this cheesecake will fall in the center while cooling, brown around the edges and potentially crack. So definitely take the time to do the water bath and if you’d like to see how I set mine up, you can check that out here. I like to use a slow cooker liner to make sure water doesn’t get in. It’s quite handy. While the cheesecake cools, the bavarian cream topping is made. This is one of my favorite parts of the cheesecake and totally sets it apart from others! The smooth, creamy texture and amazing taste are worth every second of making it. In fact, I wanted to just eat it all with a spoon! The bavarian cream is similar to a pastry cream, with the main difference being that pastry cream is thickened with cornstarch and bavarian cream uses gelatin. Also, just before the cream sets, whipped cream is added to bavarian cream to lighten it. Once it’s made, spread it evenly on top of the cheesecake and then let the whole thing cool completely and set. 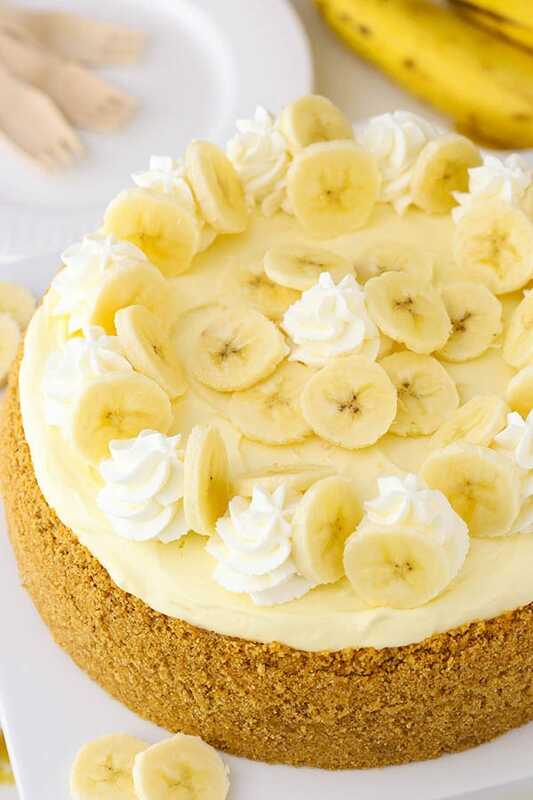 Top the finished cheesecake with a little whipped cream and then add some fresh sliced bananas when serving! The cheesecake is sure to be a hit! I shared it with family and everyone fell in love. In fact, my brother liked it so much that after he finished his piece, he started stealing bites from his daughter (my niece). Now you know when you start to steal food from your kids, it’s good! 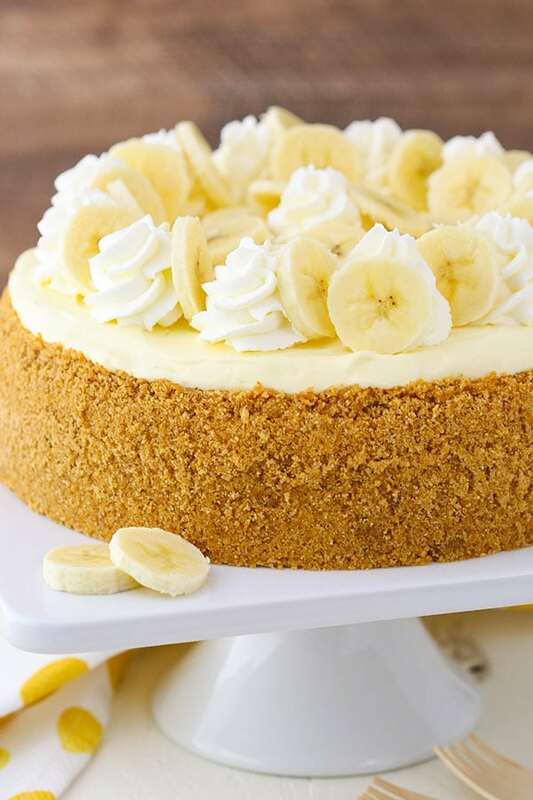 This Banana Cream Cheesecake Recipe is made with a fresh banana cheesecake topped with banana bavarian cream! It’s smooth, creamy & full of banana flavor! While the cheesecake finishes cooling, make the bavarian cream. In a small bowl, sprinkle the gelatin onto the milk and set aside. In a medium bowl, whisk the egg yolks together and set aside. Add the heavy cream, sugar, vanilla extract and banana extract to a large saucepan and heat over medium heat until warm. Remove the cream mixture from heat and slowly pour the hot cream into the eggs to temper them. Add the egg and cream mixture back into the saucepan and return to the heat. Continue cooking over medium heat until the mixture is thick enough to coat the back of a spoon, or reaches about 160°F. It should happen fairly quickly. Add the gelatin mixture to the hot cream and stir until smooth. Pour the custard into another bowl and set that bowl inside another bowl over ice. Allow to cool to room temperature. While the custard cools, add the heavy whipping cream and powdered sugar to a large mixer bowl and whisk on high speed until stiff peaks form. When the custard is ready, gently fold the whipped cream into the custard. Be sure it’s at least room temperature, so the whipped cream doesn’t wilt/melt. Remove the water bath wrapping from the cheesecake, then spread the bavarian cream evenly over the top of the cheesecake. Refrigerate cheesecake until completely cool and firm, 5-6 hours. When the cheesecake is cool and firm, remove it from the springform pan. Add the heavy whipping cream, powdered sugar and vanilla extract for the whipped cream topping to a large mixer bowl and whisk on high speed until stiff peaks form. Pipe swirls of whipped cream around the edge of the cheesecake, then serve with sliced bananas. Cheesecake should be stored in the fridge. Best if eaten within 3-4 days. * I recommend using fresh, yellow bananas. Not ones that are ripe and brown. I prefer the color and flavor of the fresh bananas in this particular cheesecake. Why come to a food blog with recipes and ask where to buy the finished product? Omg!! I love your blog. The banana cream cheesecake is my favorite at the Cheesecake Factory!! This looks AMAZING!!! and I can’t wait to try making it!!! ???? My favorite too! Thanks Jessica! I hope you enjoy it! 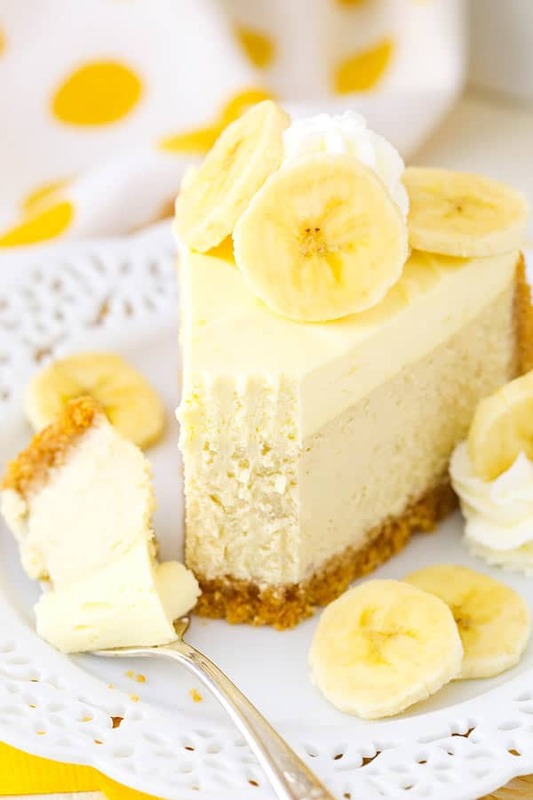 Hi,your banana cheesecake looks so good and tasty and could you please tell me what the nutrictional information is.I am a diabetic and i have to watch my carb and sugar intake. I’m not sure of the nutritional information, but I know there are several site available to give that info if you plug in the recipe. What type of banana extract so you use? I have tried a couple but both tasted weird. Thank you! Love your cheesecake recipe. I have been looking for a Lemon Bavarian Cake recipe for several years. A bakery in Springfield, IL used to bake it and it was delicious. No one seems to have the recipe and they have been out of business for years now and the owners are deceased. It had browned coconut on top for decoration. I was wondering if you have it or could figure it out. 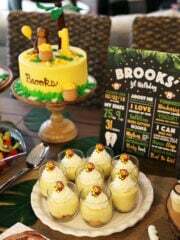 It was such a wonderful cake I would love to be able to make one. Oh that sounds yummy! So was it layers of lemon cake and bavarian cream and like a buttercream frosting? Anything else? Do you think it would work to make it in 9 x 13 pan to serve in smaller dessert squares? (I realize the baking time would be different and probably still need a waterbath). Wonder if Watkins makes banana extract – great flavorings. Thank you – sounds yummy. Yes, I think that’d be fine. I can’t remember if I’ve seen a Watkins banana extract, but I do also love their flavorings. Yes, Watkins makes a banana extract. That is what I used! As I remember the Lemon Bavarian Cake was lemon cake and I thought maybe I could change the recipe above from banana to lemon and have what I am looking for. It had some kind of lemon filling in between the layers and the icing was like a whipped cream. I am figuring that is where the Bavarian comes in. Then they browned coconut with butter and sprinkled it on top of the cake. That cake was heavenly. Sounds yummy! You could try checking out this cake. Perhaps using the bavarian cream as the filling? How about a filling of lemon curd and the lemon Bavarian cream as the topping? Yes, you can do this. I did a recipe similar to this, my Lemon Cake with Lemon Bavarian Cream. Feel free to refer to this Lemon Cake that uses both! Can the banana cheesecake part be made in a Ipoh? I’m not familiar with a lpoh? Does this hAve to be baked in a spring form pan? I prefer baking in glass casserole type pans. It should be ok in a 9×13, you’d just need to adjust the baking time. What would you recommend for baking time in a 9 x13 pan or casserole dish? Would the recipe need to be adjusted to the size of the pan, if so what are your recommendations? PLan on making this for Thanksgiving. Here’s a different 9×13 cheesecake that you can use as a bit of a guide. The baking time should be similar. You shouldn’t need to adjust the filling amounts and even though the cream will be a thinner layer, it might be fine without adjusting it. I hope you enjoy it! 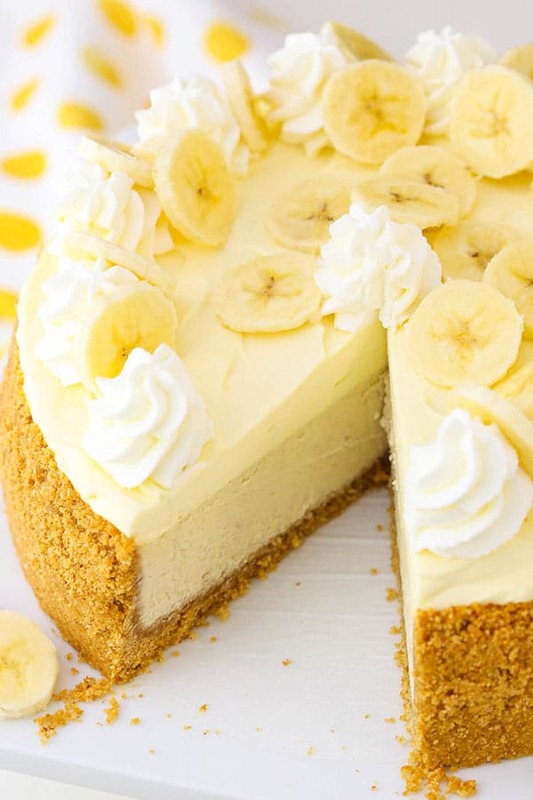 Can not wait to try this recipe – my daughter loves anything bananas and she loves cheesecake!! Your directions are very detailed which is great! Thanks for the tip so water doesn’t get in the pan – never thought to use a loner! ???? Couldn’t find the banana extract, how do I substitute to still have nice banana flavour? I’m not sure of a good substitute that would give the same amount of flavor. You could try something like a liquor and even reduce it to make it stronger. I didn’t have banana extract when I made this, so I used banana pudding mix instead. I only added about 2 or 3 teaspoons. I omitted the gelatin and just used the pudding mix to give it that jiggle. The cheesecake turned out amazing! my husband and friends raved! 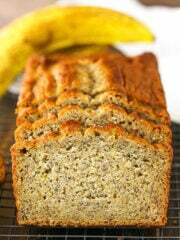 Do you use over ripe bananas? You could, but I used fresh yellow bananas. I prefer to the color and flavor of this cheesecake that way. It was my first time making Bavarian cream, mine came out a little bit chunky and not smooth. I think I ended up making scrambled eggs rather than tempered eggs. tasted fine, but not very pretty. I was not patient with the cooling process. I learned a lot about water baths and spring form pans. Thanks for the lessons! I am ready to try again for Thanksgiving. I was just diagnosed with T2 Diabetes but this cheesecake looks AMAZING! Do you happen to know how many calories/carbs would be in a slice? Also, do you have any tips for making it “dessert friendly” for me? I don’t know the nutrition facts, but there are quite a few sites that’ll calculate that for you. For changes to make, I’m not entirely familiar with what would be needed. If it’s sugar reduction, you could definitely leave it out of the crust and reduce it in the cheesecake. Other sweeteners would probably be ok to use. For the whipped cream though, if you reduce the powdered sugar, you’ll likely want to stabilize it with some gelatin or something. I hope that helps! I did not. I added them to the top just before serving. You could certainly add lemon juice to them though. Lol, thanks! I hope you enjoy it! My husband is gluten intolerant. Can cornstarch be substituted for the flour. If so, what amount? This cheesecake sounds amazing and I would like to make it for him. Thank you and I love all the explanations (lessons) and tips you share. You try 1 1/2 tablespoons of cornstarch, or leave it out altogether. I just used the bobs 1:1 gluten free flour instead and used Pamela’s gluten free graham crackers for the crust. This looks lovely and I will definitely try. However, is there a way to make the cream portion without using gelatin? You could use cornstarch, but that would make it more of a pastry cream rather than bavarian cream. You can see a recipe for that here. 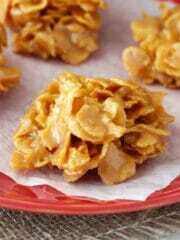 You can try sprinkling them with some lemon juice prior to adding, or add them just before serving. I made this last weekend and followed your instructions to the letter. It turned out good, but I was underwhelmed about it. I should have remembered that I do not like Banana Pudding and that is what it reminded of. It was good, but not outstanding. I’m sorry you weren’t happy with it. Yes, if you’re not a fan of banana pudding, this might not be your thing. My back is broken after making this. Left my yolks out of my B cream. Cake still too warm when I spread my B. cream. I’ll just settle for plain though I may have to do the Coffe one. I made this recipe and the custard, how long do I wait to pour custard over the cake and put in fridge,one would think when cool to touch,but directions don’t really say, just remove water bath wrap and pour? As long as the cheesecake isn’t too warm to touch, it should be fine. I just had it sitting on the counter prior to adding. What a fun idea! 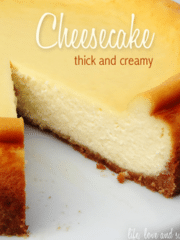 So glad you enjoyed it – and the other cheesecake recipes! Thanks Dianna! Hi I have the cheesecake in the oven now.. Can’t wait to try it tomorrow.. Is it OK to freeze a slice or to for a few days? I would think freezing would be fine, I’ve just never tried freezing the Bavarian cream before. I hope you enjoy it! What an amazing recipe!!!! 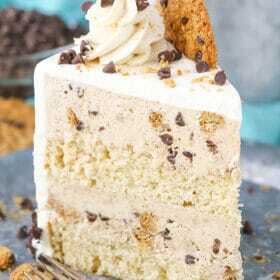 I am drooling as I scroll down at all the ingredients and see the picture of this work of art. Thank you for sharing. I have some overripe bananas in the freezer that will be put to good use when I prepare this recipe!! I found this recipe and decided to make it for my husband for Father’s Day. Trouble was that it’s a pretty labor-intensive undertaking, and I didn’t start the day before. So we ended up having it after he got home from work yesterday (Monday). Now, I’m a better-than-average baker, so I’ve made some pretty good desserts. But thiss is literally the best thing I have ever made. I couldn’t even find banana extract, and it was still absolute perfection! If you’re looking at this recipe, don’t let all the steps and time involved deter you! Make it anyway! 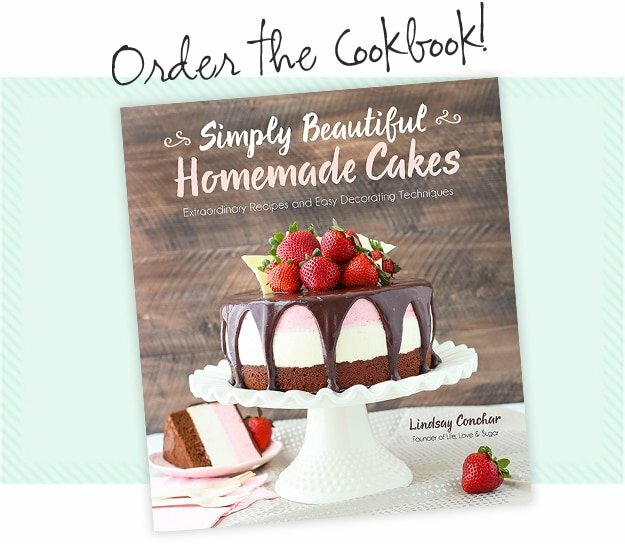 Lindsay, thank you so very much for this recipe! Thank you, Sarah! I’m so glad you enjoyed it so much! I’m so glad to hear that! Thanks Linda! I’m making this cheesecake gluten free. I used cup for cup to replace the flour and lemon gluten free shortbread cookies which I’ve used before on other gf cheesecakes. I’m going to freeze the cheesecake portion and make the Bavarian crème closer to when I need the cheesecake and then make the whipped cream the day of my party and refrigerate all. Needed to get this made ahead off time. Making another at the end of the week. Can’t wait to try this. I made this cheesecake, but can not get the bavarian cream right. What it seems to me is the gelatin is my issue. Could you tell me what brand gelatin did you use? And, where did you got it at? I used Knox brand, and it is not setting right. Thank you in advance! Hmm, strange. I used Knox brand as well. I’m getting ready to make this cheesecake for the holiday. Interesting that the video shows the crust using graham crackers and the receipe calls for vanilla wafers. OMG, this looks so amazing. 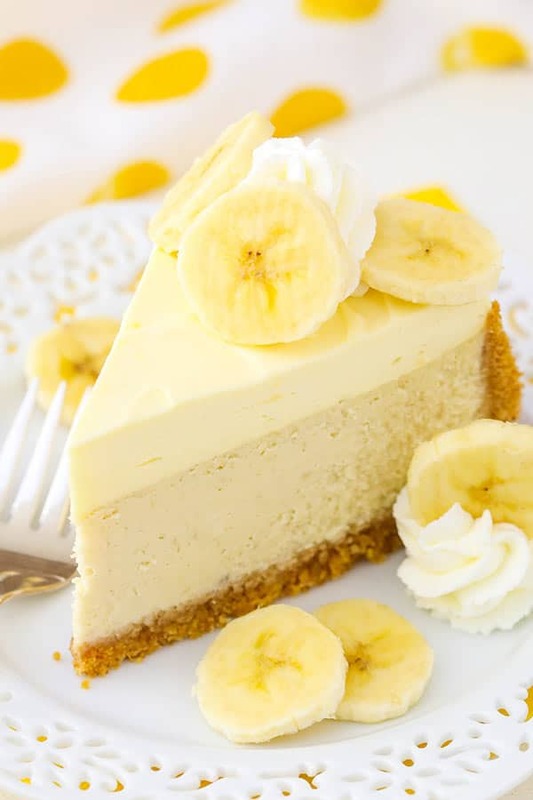 Two of my favorite foods combine, banana and cheesecake to not only make a beautiful looks dessert, but a dessert that I can hardly wait to make. Thanks for sharing. Yum! Vanilla wafers was my preference for this particular cheesecake, but you can use graham crackers if you prefer. It’s hard to know for sure without trying it. 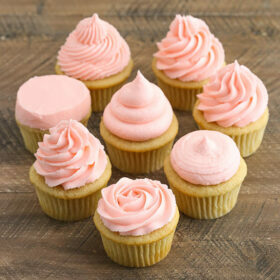 Banana is a more subtle flavor than raspberry, so you might not need as much of the raspberry. Plus, it’s much thinner as a puree, so you might need to add a little to the baking time. I haven’t ever used raspberry extract, but I’d imagine you could get by without it. You can read more about water baths here. I’m so glad you enjoy it! As for the butter, I didn’t have that problem, but you could reduce the amount of butter in the crust a bit and that should help. Also i forgot to add that i did freeze 2 individual slices for a week and let them thaw overnight in the fridge and they were fine..
Me parece encantador su manera de hacer y explicar la repostería, pero no entiendo porque el sitio al traducir al español, no me permite ver las recetas con vídeo, ojalá pueda ayudarme, se lo agradezco. Hey just finished making this cake. And when i went to put the cream on top. I think the cheese cake is still to warm. And it’s starting to run. Hope it turns out ok.
You can. You could also leave it out and it should be fine. Ok, I made this cake this weekend and it looks nothing like yours. It baked perfect, no cracks but I didn’t have enough crust to go up as high on the sides as yours. It tasted pretty good but I could taste the banana extract. It left almost an alcohol after taste in my mouth. If I make it again I would cut down the 4tsps of extract. I’ve loved all your recipes I’ve tried though! This was just a first for me not to turn out quite right. Just to check – are you sure you used teaspoons and not tablespoons? I know in an earlier version of this cheesecake (when I was testing it) that I had added more of the banana extract and had the same result. I didn’t have that experience with it reduced to 4 teaspoons though. Mines is in the oven and you are right, the crust did not go as high as on the picture. I even thought of doing one more cup of crust to cover the sides. I would suggest spreading some the crust out to the sides of the pan before pressing it into the bottom, to make sure you have enough for the sides. I spread the crust loosely around the bottom and sides before pressing it down to make sure I have enough to cover all that I want covered. I just finished! But I had a problem when I combined the custard and the whipped cream. I don’t think the custard was set yet and or maybe the whipped creamed was not fully whipped. When I combined the two, it kinda of curdle. So than I just mixed heavy whipped cream with powder sugar and a little vanilla extra. What did I do wrong? Did it curdle, or was it a bit lumpy? It’s possible that the custard had cooled a little bit too much before you added the whipped cream and so it left some lumps from the custard. Have made this twice already and it’s a real hit! I have one question re custard… when it has cooled, it’s really thick and does not fold into whipped cream, leaving little clumps of custard that u can see. It’s almost like there’s too much gelatin in it or do I let it sit too long? I’ve so glad you’ve enjoyed it! Yes, it sounds like it might be cooling a little bit too long before adding the whipped cream. If that happens though, try grabbing a whisk and whisking it to smooth out the lumps a bit. I’m just making this recipe for the first time. It’s late at night, so I will do the Bavarian cream and whipped topping tomorrow. For the crust, I got a bit creative and used banana flavoured cookies. I jus crushed them up and mixed in melted butter. I have company coming tomorrow for supper, fingers crossed that it turns out. The banana flavored cookies sound delicious! I hope you enjoyed it! I haven’t tried adding the lemon juice to see if that would make a difference. Can the Bavarian cream custard be added the day after the cheesecake is baked. I started very late in the evening and I don’t want to wait up until the cheesecake is cooked. I thought I would make the cream in the morning and top the cake then. THanks! This recipe looks amazing! My husband asked for a banana cheesecake for his birthday. I always have trouble removing the cheesecake from the bottom part of the spring form pan, to transfer the cake to a nicer plate. Do you have any tips? If you put the parchment paper in the bottom of the pan, it makes it much easier to remove. I run an offset spatula underneath the cheesecake to help loosen it from the pan bottom too. How long can this cheesecake remain in the freezer? I haven’t ever frozen a whole cheesecake, so I’m not sure. I made this cheesecake with ripe bananas and it was terrific! 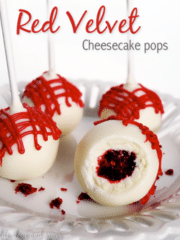 I have a couple of cheesecake fanatics in my circle af friends and family and EVERYONE raved about it! 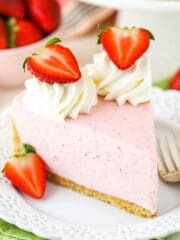 I love to make different flavors and have developed a few of my own as well., so for all of our get together cheesecake is frequently requested. I am excited to try some more that you have here! Thank you! I’m so glad to hear that! Thanks Mary Jane! Could it be converted to strawberries ????? It would probably work as a strawberry cheesecake, but you might want to test to get the strawberry flavored right. I might reduce the puree in the cheesecake from 1 cup to ¾ cups because the strawberry puree will be a lot thinner. You may want to add less banana extract, taste the batter, and then add more if needed. Thanks! Or if you have one already for strawberry I would love a link to it! 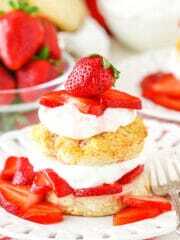 I have a Strawberry Shortcake Cheesecake and Easy Strawberry Cheesecake. I hope this helps! 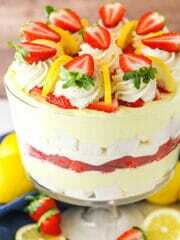 wonderful desserts. Keep creating and I’ll keep baking!!! Banana extract usually isn’t very good! I used extra banana puree instead. Banana extract can be made by boiling peel on half cut bananas in water for 20 mins, or use banana liquor. I found this recipe very confusing with the way they showed tablespoons and teaspoons. Usually it’s just a T and a tsp. My company liked it! This is my 2nd cheesecake recipe I’ve tried from your blog, (the 1st was the eggnog cheesecake) and it was definitely a hit! 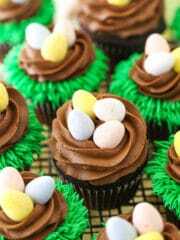 I love the bavarian cream layer, it really makes it extra special. My husband is my cheesecake critic, and he even loved this one. I’m sure I will make it again. By the way, I love hearing about your twins! I am a mom to 8 children, ages 1-13, including a set of 6 year old girl twins! Thanks again for a great recipe, greetings from WI! I’m so glad you enjoyed both cheesecakes! Thanks Alexis! Eight children – you are a rockstar! Is there an edited cook time for high elevation? I’m really not familiar with high altitude baking, I’m sorry. Could you tell me which heavy whipping cream your supposed to add when? For the Bavarian Cream 1/2 cup heavy whipping cream in step #3, 2/3 cup cold heavy whipping cream in step #8 under Bavarian Cream. For the whipped cream topping, 1/2 cup cold heavy whipping cream in step #2 under Topping. My cake is in the oven right now. The crust kind of disappointed me already. It looks really wet and the sides slide down after baking 10 minutes. Much butter dripped down to bottom of oven also. What have I done wrong. It shouldn’t be doing that and sliding down the sides. Did you maybe add too much butter by accident? Or not use quite enough crumbs? My crust slid down the sides also, I used exact amount of butter. I’m hoping the Bavarian cream is ok above the crust. I would like to try this but it doesn’t state what kind of gelatin, What kind do you use or recommend? I used Knox brand gelatin. I’m sorry I guess I should’ve asked is that non-flavored gelatin? So Im Currently making the banana cream cheesecake… I used a yellow cookie for the crust with the same measurements… the crust doesn’t look set like I’ve seen other cheesecakes. Itwas very buttery before I put it in… the sides are browning so I know I can’t leave it in any longer but the middle is actually bubbling… is this right?? What kind of yellow cookie? And oreo? Because you’d want to use a good bit less butter in an Oreo crust. Did you use the water bath? I’ve never had sides brown unless I didn’t use the water bath. And bubbling is very strange. No cheesecake should bubble in the middle when baked. I made this cheesecake because it’s different and my boyfriend likes banana flavored desserts. We work nights, so it was about 1am when we went shopping for the ingredients. We could not find banana extract anywhere! I used fresh bananas and banana pudding mix for the actual cheesecake. I also used my instant pot for this recipe. I used all the same measurements and my 7″ springform pan (35 minutes in my instant pot). I had additional batter left over which I used for mini cheesecakes (in a muffin pan) in the oven at the same time. We went to bed and woke up in time to go shopping for banana extract for the Bavarian cream icing. This was delicious! Its so smooth and creamy! Everyone loved it! How long did you bake your mini cheesecakes for? Amazing cheesecake! I made this for my wife yesterday. Amazingly dense, intense banana flavor, and it didn’t crack! Definitely a favorite to make again. I have an annual Fall Ladies Afternoon Tea Party with some of my girlfriends & family. I like to try new recipes and I always make one cheesecake for my Tea Party. Last year I decided to make this recipe. However, as I was preparing it I realized that I was out of Banana Extract, so I substituted it with Rum extract. . . OMG … it was delish … and my guests absolutely loved it. I was wondering if you have ever frozen this cheesecake. So glad you enjoyed it! I don’t believe I have frozen it, but I think it would be fine. I’d just leave off the fresh bananas.